How I found support for my trials as an abductee in an unlikely place…and why abductees so desperately NEED support. The 1990s was the decade in which Americans became aware of the alien abduction phenomenon. The media made fun of abductees, which kept most abductees "in the closet" which in turn made it easier to ridicule the ones who tried to "come out." The experience was very much like childhood sexual abuse, in that the experiencer was molested but has no way to stop it and no one to go to for support. Yet while every word we heard from the media either denied our experience or made light of it by playing it for laughs, those of us who experienced it first hand knew there are intelligent, non-human beings, because we’d seen them. They’d been in our bedrooms, taken us from our cars, left us with bruises, scars, mysterious lumps and disappearing pregnancies. For most of the centuries this phenomenon has affected humanity, people have kept it quiet. It was just too crazy to be believed. And yet, word got out. In the days before the Christian Era the visitors were called angels. In the 700s they were called incubi and succubae (based on the gender of the abductee) and the authorities of the day, the Church, declared them to be demons (with a very judgmental eye cast upon the victim). In the 1400s they were called fairies. Just about every Earthly culture has had a name for these beings. Since the majority of people never see them, the names become associated with mythology and when the beings force our awareness of them again, they get a new name. But their operations are pretty much the same now as 2,000 years ago. Whoever they are, wherever they come from, they have had a devastatingly deep impact on the evolution of mankind. I, personally, had not believed that aliens visited Earth. When the subject came up, I always said, "There is surely intelligent life on other planets. But there is no evidence any of it has ever come here." I was quoting astronomer Carl Sagan. Later, when I began to research on my own, I discovered there was a lot of such evidence. Which then made me wonder why Sagan, who had surely been able to do the same research as I, hadn't…or, if he had, why he'd chosen to misrepresent his findings. When I was dragged off my bed that night the reality hit my gut with the force of a George Foreman punch. Though I had unintentionally done my homework, the impact wasn't much lessened. 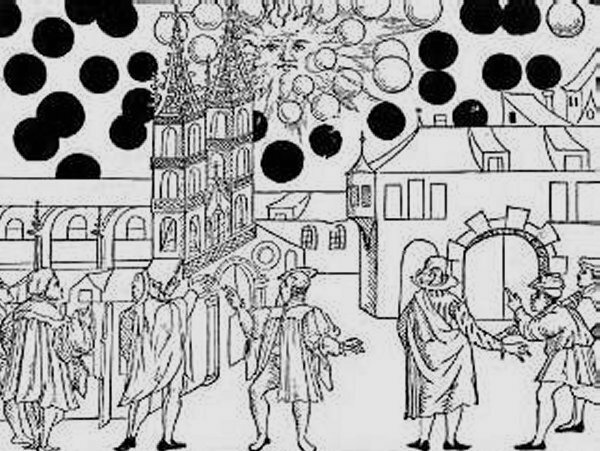 A contemporary depiction of the UFO invasion of Basil, Switzerland, in 1566. Although disk-shaped flying objects were spotted at the end of the 1800s by people in New Zealand, Europe, Asia and North America—including the mayors of Oakland and San Francisco, who went on record as having witnessed one—the modern history of of "flying saucers" is generally considered to have begun on June 24th, 1947, when Kenneth Arnold, a private pilot flying his small airplane near Mt. Rainer in Washington State, observed several objects in the sky that he later described as looking like "saucers skipping across water." The press dubbed these objects "Flying Saucers," and before long they were being reported from every part of the country. That July, a terrific thunderstorm led to a UFO crash near Roswell, New Mexico. The local Army Air Force base publicly announced it had recovered a crashed flying saucer. A couple of days later, it issued a "correction" with a photo that was supposed to show the remains of a specific type of fallen weather balloon. However, the debris shown in the photo were clearly not from that type of balloon, which was obvious to aficionados of that sort of thing. (If you were an automobile collector and someone showed you pieces of a 1980 Cadillac while claiming they came from a 1967 Corvette, would you be fooled?) And so the general public became convinced the Roswell event never happened, while UFO buffs were convinced it had. In late 1949 the Air Force issued the GRUDGE Report which claimed that all sightings up to that time had been explained. This report was later criticized by General Cabell, head of Air Force Intelligence, calling it "worthless as tripe." Nevertheless, the American people were told that the Air Force had closed its saucer investigation. That was a lie, since Project GRUDGE continued into 1951. In the fall of 1951 General Cabell became aware of a publicized sighting at Fort Monmouth, New Jersey, which involved radar. At a briefing Cabell was told that GRUDGE was dead. Cabell was annoyed because he had previously commanded that all sightings be investigated. Realizing that those under him had lied about project GRUDGE's termination, he ordered that it be reorganized. This reorganization, which began in the fall of 1951 under the direction of Captain Edward Ruppelt, renamed it Project BLUE BOOK. It was under way at the Air Technical Intelligence Center (ATIC) at Wright Patterson AFB when a large number of UFO sightings occurred in 1952. BLUE BOOK had the task of investigating UFO reports; the Condon Committee had the job of compiling these investigations and producing a report for Congress. In 1969 the Condon Report was published. (It's out-of-print but you can read it as an eBook.) Its Conclusions and Recommendations stated that virtually all UFO sightings could be explained as misinterpretations of natural phenomena, such as swamp gas or the planet Venus. Its contents was filled with cases that could not be so explained. However, busy Congressmen stopped reading after the Conclusions and Recommendations and shut down BLUE BOOK. 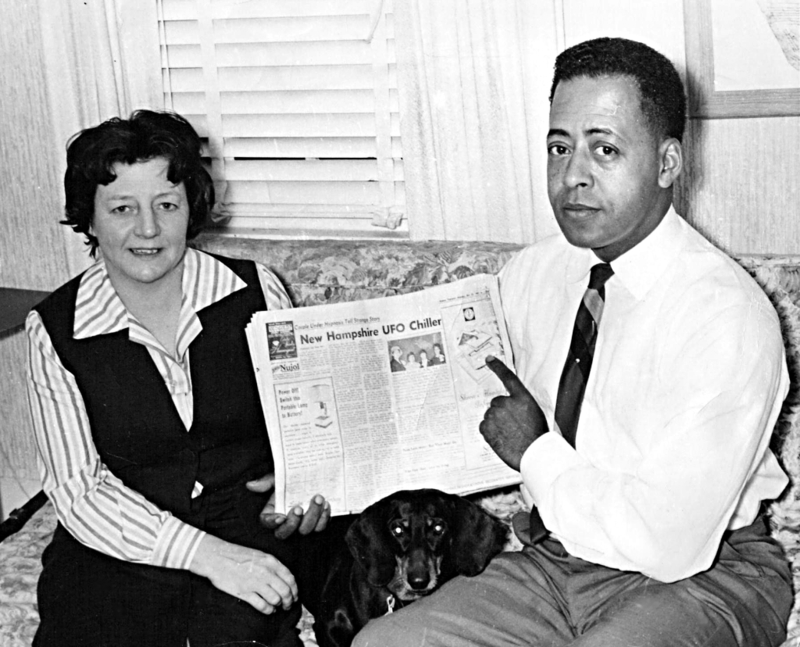 The first modern report of alien abduction was that of Betty and Barney Hill from New Hampshire in 1961. 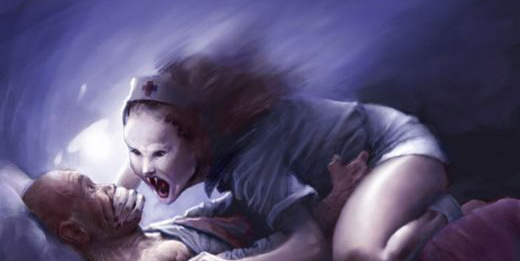 After a bizarre case of "missing time" (they took many hours longer to drive home from Canada than the trip should have taken) and a series of terrifying dreams, they went to a hypnotist to try and recover their missing memories. He succeeded: the missing memories were of an abduction by non-humans who performed "medical tests" on the couple. The Hills wanted to keep this embarrassing episode a secret, but word got out (the psychiatrist talked with an Air Force friend, who mentioned it to his family) and soon the press was making up details to hide the fact that they had no idea what had really happened. In self-defense, the Hills asked a writer to tell their story, which was published as The Interrupted Journey in 1963. It was later filmed as a made-for-TV movie, The UFO Incident starring James Earl Jones. Amazingly, the book is not in print and the movie has never been released on DVD (and is long out-of-print in VHS), in spite of huge public interest. Even now this topic is featured on any number of late-night talk shows and yet the book and movie remain unavailable. It was Phillip Klass' "response" to The Interrupted Journey that first made me realize something funny was going on in the media. His book, if read by itself—as most people would do—convincingly explained away each aspect of the Hills' case. However, I was not reading it by itself; I was researching for The Lady From Heaven and had both books side-by-side on the table. Klass omitted key facts from the Hills' story and "added" a few blatant lies in order to support his own theory of what had happened. This couldn't have happened by accident. Klass, who claimed to be "debunking" the Hills' story, was in fact misleading the public to make it seem as if no abduction had taken place, a task he has repeated with gleeful disregard of facts for just about every UFO sighting and report since. Meanwhile, other abductees were reporting contacts with non-humans. Considering the pressure to not report such a thing, one can only wonder how many abductees never reported at all. As a gay man, I can tell you that, personally, coming out of the closet as a homosexual was way easier than coming out as an abductee. Manchester, New Hampshire, had a pretty active MUFON group, I learned; so I went to their next meeting. MUFON stands for "Mutual UFO Network" and is supposed to be a civilian group of scientists who investigate unusual aerial phenomena. I hoped to network with other abductees there. When I stepped into the auditorium, there was no time to talk; the moderator was anxious to show a video of an "alleged abduction" that had recently been released to a local TV station. Apparently a family had a video camera that used standard VHS tapes, allowing six hours of recording time if it was plugged into a wall socket, which this one was. They'd had the camera outside to tape a picnic and had accidentally left it on. The moderator fast-forwarded through hours of time in which nothing happened but a sunset. The camera compensated for the change in lighting; a street lamp provided adequate illumination. Suddenly a flash among the trees in the wooded side yard outlined a disk-shaped object. A bipedal being, like the one Whitely Strieber had described in Communion, and like the one I'd seen in my bedroom and again on my stairway, skittered jerkily in the general direction of the camera, then veered toward the house. Only a corner of the house was in the frame, so the creature went off-screen. Several minutes later, it re-entered the frame, carrying a human form—seemingly a child, though it was hard to tell. It took the child into the cylindrical object. After roughly thirty minutes of tape—the moderator fast-forwarded again—the recording ended. This should have been a stunning proof of abduction, except that the moderator never shut up while showing it. "See how unnaturally the fake alien moves," he said, though it moved just as the being in my room had moved, with its non-human skeletal structure. "Now here you can see the wires holding the fake alien," he said, though I saw no wires at all. I began to count. By the time he was done, he had used the phrase "fake alien" at least twenty times, along with multiple uses of the words"hoax," "fake abduction," and "perpetrators." I saw none of the "artifacts" he claimed were present in the video, and he never still-framed the thing to actually point them out. He only suggested they were there, and a number of people in the audience agreed with him, making reassuring clucks of disapproval for the "perpetrators" of this "fake abduction" video. Afterwards, I went to the moderator and asked for the identity of the family who'd offered the video. He wouldn't tell me. I asked which TV station had supplied the video, and he wouldn't tell me that, either. Finally I explained that I was an abductee; I was trying to find a support group for abductees such as was described in John Mack's book. "Oh, him," the moderator snorted. "He's in trouble. Made the whole thing up." That turned out to be a lie. Mack was, and is, highly regarded among his peers. But it certainly showed me how much I could trust MUFON regarding UFO investigations. It was another smokescreen like BLUE BOOK, something to give people with interest a place to go to so they wouldn't actually find out what was going on. I had never before suspected the government had anything but my best interests at heart. Now I wasn't so sure. Even though MUFON and the media had no obvious connection to the government—they claimed to have none—if they were both lying to achieve the same end of obfuscation, whose end were they trying to achieve? Certainly neither the media, which could sell millions of UFO books and movies, and MUFON which could get millions of new members, had anything to gain by pretending there weren't abductions going on. And that video? The TV station—whichever one it was—had turned it over to MUFON for "verification." MUFON declared it to be a hoax, so the video was never shown. I suspect it was never returned to the family, either, because in all the years since I've never heard of it. So…there I was, as in need of a sympathetic shoulder as ever. And every few nights, I would experience another couple of hours of terror that I couldn't prevent—and wasn't even sure I should prevent. It was completely by accident that I stumbled on a forum on CompuServe devoted to the "Unknown." A CompuServe forum then was like an Internet chat room now, with the facility to have real-time group "chats" (all typed, of course). This particular forum had sections for ghosts, UFOs, parallel dimensions and so on, but nothing specifically for abductees. Over the course of the next few nights I met a few people who were willing to admit they had experienced abductions. I suggested to the forum "sysop" (system operator) that such a section would be a good idea, if it could be "closed"—that is, a person would have to make a request to join it and would not have access to it until he or she was approved by the group leader. It was decided the group would have two leaders: myself and a woman I'll call Sandy. Sandy and I spent a week pouring through requests to join; there were almost a hundred of them. Most of the letters detailed abduction scenarios similar to mine; a few were much worse. We denied access to the few obvious kooks and reporters, even the one who masqueraded as an experiencer (we could tell; his claimed experience didn't at all match the pattern we'd grown to recognize). We planned for our first meeting to be held on a Tuesday night at 9 pm EST. If you are reading this on the Web this sort of thing will seem old hat to you; but to me in 1993 it was oddly exciting. I was alone in my house, yet "talking" with several dozen people, most for the first time and none of whom I'd ever seen in person. It was my first party in cyberspace; I could almost hear the buzz of people socializing, while in actuality there was only silence in the room. We were discussing a terrifying topic, one that had brought tears to each of us, a burden we had carried by ourselves for far too long. Yet we laughed, partly at the absurdity of our situation, but mostly from relief: Because now, finally, amazingly—we each had someone else with whom to share the weight of our bizarre predicament.